BUCHAREST (Romania), April 15 (SeeNews) - Romania's finance minister Eugen Teodorovici has told global rating agencies and the International Monetary Fund (IMF) that the country is a safe place for investment, with a sustainable economy with growth potential, the finance ministry said. Romania's strengths are the moderate level of public and external debt compared to most EU member states and its economic growth prospects, Teodorovici said during meetings with representatives of S&P, Moody's and Fitch and the director of the IMF's European Department Poul Thomsen in Washington, D.C. on Saturday, according to a press release issued by the finance ministry. 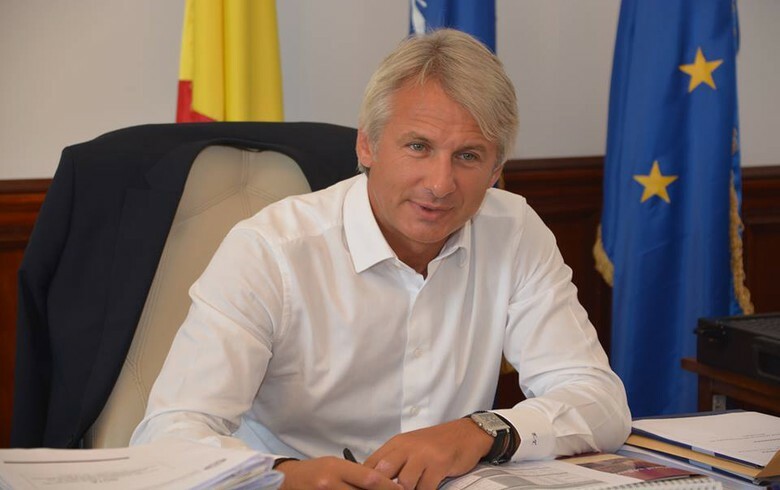 The agenda of the talks with the IMFdirector covered Romania's macroeconomic framework, with Teodorovici assuring the global lender that the country will honour its commitments with international financial institutions and keep its budget deficit below 3% of GDP. Teodorovici also pledged that the measures taken in 2019 will ensure a sustainable economic growth for the future. Romania ended 2018 with a consolidated budget deficit equivalent to 2.88% of the estimated GDP, the same as in the previous year and within the EU's 3.0% limit, according to data from the finance ministry. Romania is making progress in terms of stability of the institutional framework and budgetary consolidation, firmly placing public debt on a downward trajectory, and strengthening the governance framework, Teodorovici was quoted as saying in the press release. In mid-March, Standard & Poor's Global Ratings maintained Romania's rating at BBB-/A-3, with a stable outlook, after the country's government pledged it will revisit key parts of a controversial fiscal emergency decree. On March 4, S&P accepted Romania's request for an appeal of its credit rating outlook, while affirming its rating on the country at BBB-/A-3. Several days earlier, the finance ministry had asked S&P not to change Romania's outlook to negative yet, as the country needed more time to approve the 2019 budget and assess the effects of a planned tax reform. The controversial government decree issued in late December was amended in March by reducing a controversial 'greed tax' on banks' assets.